Roerick Doyle did not live the average life of an American boy in his early years. He was born in Kowloon, China in 1915, where his family lived until Roderick was six. 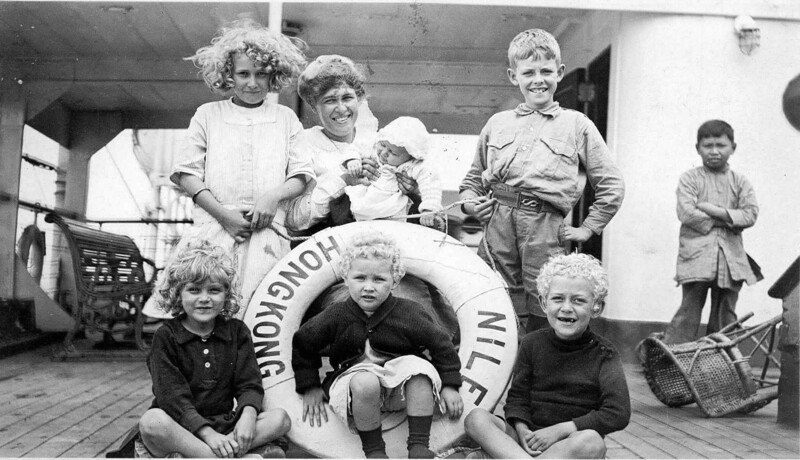 In June 1920, the family arrived in California on the SS Nile from Hong Kong. His parents, James and Catherine, who were born and raised in Scotland. The Doyle family lived in Alameda, California. Roderick had five sisters: Jean, Jessie, Ruth, Patricia and Gloria, and two brothers, Kenneth and James. By 1930, Roderick’s father worked as a ship’s officer on a freight boat. His older brother, James, worked as an draftsman at an engineering company and his sister, Jessie, worked as a stenographer. 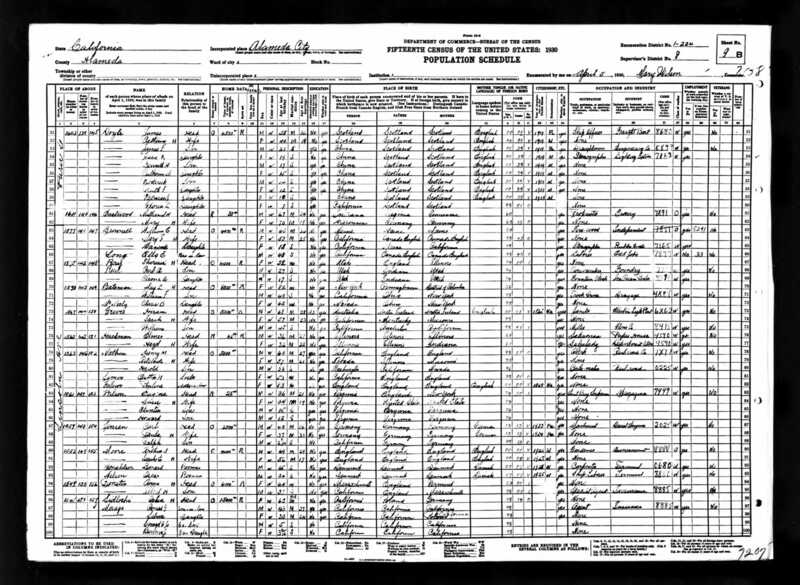 Ten years later, the 1940 U.S. federal census reported his father James working as a watchman and Roderick working as a shipping clerk. Growing up, Roderick enjoyed spending time with his family. He also found an interest in airplanes, which started with his brother, Kenneth. Roderick developed a hobby of making hand-launched wooden gliders, which he entered into “Wing Competitions” in San Francisco, Chicago, and Los Angeles. He was a two-time champion from these competitions. Roderick’s younger sister, Patricia recalled, shortly before her passing in spring 2017, how she and another sister helped their brother build a full-size glider in the family backyard for the public to view. Roderick lived in Alameda until he enlisted in the U.S. Army Air Forces. Doyle never married or had any children. In the 1940s, the city of Alameda, California, housed the Benton Air Strip and U.S. Navy depot. Alameda was a key part in Pan American Airways. Although the naval port was the main attraction, the airstrip at Benton made for a convenient military training facility once war was declared. During World War II, Alameda was one of the busiest ports on the west coast. By 1945, the base was filled to the brim with 3,600 officers and 29,000 enlisted personnel. The construction of the base was never fully complete but the government did add the airstrip in order to send supplies for the final assault against Japan. Not only did this facility bolster the recruits for the U.S. Army, it also employed many locals. As the fear grew across America after Pearl Harbor, false reports of shelling on Los Angeles from Japanese submarines were reported in the days that followed. These occurrences made for a mass mobilization effort across the state of California. Unemployment virtually disappeared as steel mills, rubber factories, ship yards, munition factories, and agricultural fields were put to use. California obtained 11.9% of government war contracts and it produced about 17% of all supplies given toward the war efforts. As the labor force and production grew, so did urban development across the state. Doyle was a flight officer of the 438th Troop Carrier Group, Squadron 88, which was part of the 9th Army Air Force. His hobby as a model glider enthusiast likely influenced him to join a paraglider unit in the U.S. Army Air Forces. Gliders had no engines or weapons, making them extremely light. Without noise to give away their positions, gliders were often used to land men and equipment silently behind enemy lines. They were tugged through the air by C-47s and glided down to earth under the power of gravity. 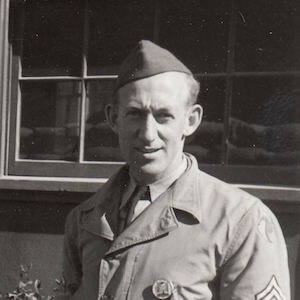 As part of the build up for the Normandy Invasion, Doyle was stationed, and continued his training, at Greenham Common, an air base in England. As the invasion began, the 88th Squadron flew several missions, dropping men and gliders into the area around Sainte-Mère-Église. On June , Doyle was the flight officer of one of 14 gliders to be dropped into France near Écoquenéauville. The first three gliders landed south of the town and was hit by small arms and mortar fire. This led other glider pilots to steer more towards the south. Flight Officer Doyle, the pilot of glider number 11, was unable to land safely. He was killed when his glider crashed into tall trees. After his body was recovered, Doyle was temporarily buried at St. Laurent, France, plot number 3508. After the war was won, his remains, along with more than 9,000 other heroic American service members, were moved to the Normandy American Cemetery in France. Flight Officer Roderick Doyle was permanently laid to rest in plot C, row 23, grave 15. His co-pilot, Flight Officer Frank L. Cotropia, was injured, breaking both his left leg and left arm. On July 26, 1944, he was flying back to the U.S. on a C-54 plane flying from Ireland to Newfoundland that went missing over the Atlantic. Cotropia is memorialized on the Tablets of the Missing at Cambridge American Cemetery in Cambridge, England. Before the war, Roderick Doyle was an avid model plane builder. He had competed in toy airplane races while completing his four years high school. Doyle persisted and finished high school during the Great Depression. 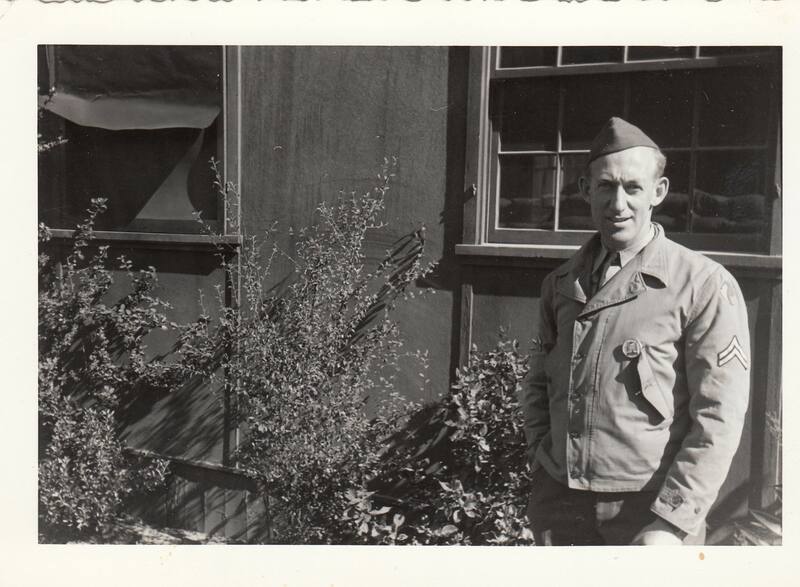 A new opportunity struck, and months before Pearl Harbor, Doyle volunteered for the U.S. Army Air Forces. Doyle was a Scottish citizen in the process of obtaining his U.S. citizenship. Doyle’s military career was impressive. He rose through the ranks from a private to a flight officer of the 88th Squadron, 438th Troop Carrier Group, piloting motorless gliders. Being in the military does come with a high risk. Doyle’s parents and siblings would have been heartbroken upon word of his death. Yet, they would have also been proud that their son had became the best person that he could become. His family told stories of how loving and dedicated he was, remembering him as a son and brother, and not as an airman who fought and died in a war. His family remembers him as one who was involved in the community and was a friend to most he met. Sadly, Doyle was not married and did not have any children to continue his legacy. On June 8, 1944, Doyle’s glider crashed into trees and he was killed. For Doyle’s sacrifice he was awarded the Purple Heart and Air Medal after the war for his bravery and courage in assisting the Allied victory. When our class began this project we did not think much of the assignment itself. As we got to research more, we realized that war and sacrifice should not be taken so lightly. Doing this project allowed us to gain a better understanding of what has happened to our country, to our servicemen and their families and how cruel war can be, which is not something one can just learn out of a textbook. Unfortunately, we did not have the honor in knowing Roderick Doyle personally, but we all share idealistic goals of a world without wars, tyranny, and bloodshed. Roderick Doyle went out and actively made steps toward that dream and we highly respect that. Following one’s heart to achieve such an outcome is inspiring. In doing so, Roderick Doyle sacrificed himself, dying a true hero. Time withers away old memories. Stories are lost. Extraordinary people are forgotten. When they part from this world, their memories should not be forgotten. While we initially took this project as another high school task to complete, it deeply changed us. We are more aware, empathetic, and more open-minded. Now we understand the world a little better and realize that the people who fight in war are not just soldiers. They are normal, everyday people with goals and families. This project has helped us understand that freedom is not free. The memory of Roderick Doyle will never leave us and we hope that by telling his story, we can put his story in the hearts of others. We know we will cherish all we have learned from him forever and will always remember the name Roderick Doyle as a great name of a compassionate and brave man. Beesley, Brian. Email interview with author. April-May 2017. 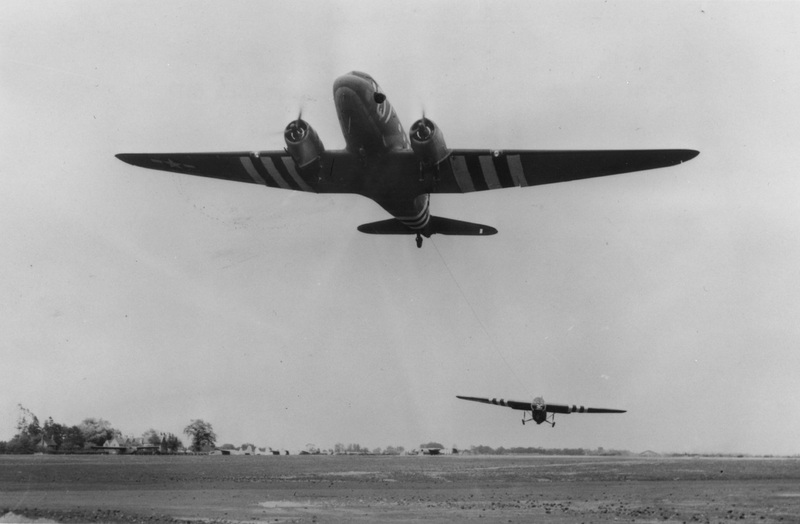 A C-47 Skytrain of the 438th Troop Carrier Group tugs a glider, as it takes off from Greenham Common on D-Day. June 6, 1944. Photograph. Roger Freeman Collection, American Air Museum in Britain (FRE 3381). http://www.americanairmuseum.com/media/4821. Image. California. Alameda County. 1920 U.S. Census. Digital Images. http://ancestry.com. California. Alameda County. 1930 U.S. Census. Digital Images. http://ancestry.com. California. Alameda County. 1940 U.S. Census. Digital Images. http://ancestry.com. Doyle Family Photographs. 1920s-1940s. Courtesy of Brian Beesley. Doyle Family Documents. 1920s-1940s. Courtesy of Kenton Warwick. Historical Record of the 88th Troop Carrier Squadron, July 1, 1944. National World War II Glider Pilots Association. Updated 2017. Accessed April 11, 2017. http://www.ww2gp.org/88tcsjune44narrative.php. Roderick Doyle. 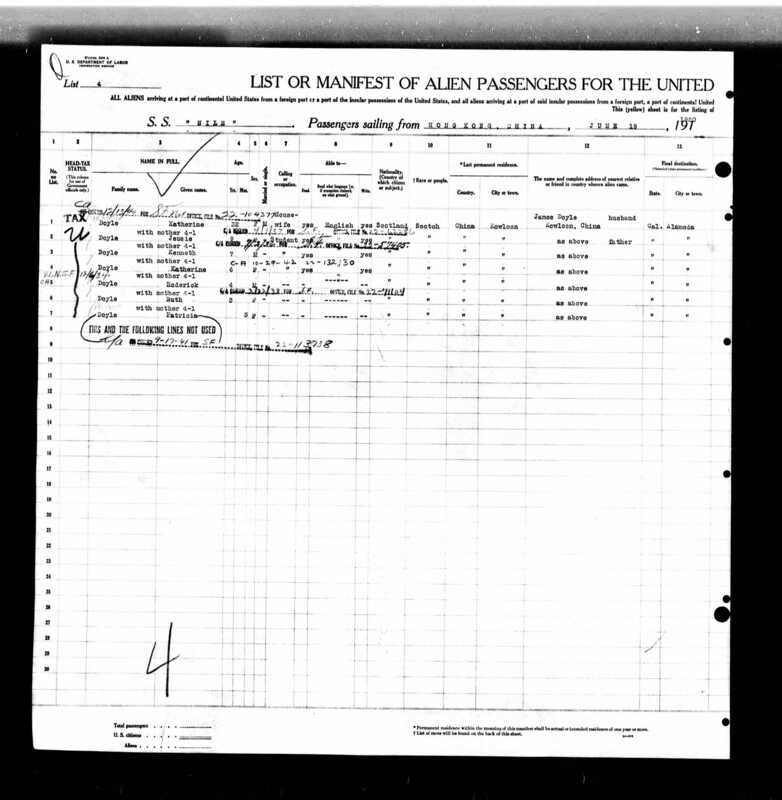 California, Passenger and Crew Lists, 1882-1959. Digital Images. http://ancestry.com. Roderick Doyle. Headstone and Interment Records for U.S. Military Cemeteries on Foreign Soil, 1942-1949. Digital Images. http://ancestry.com. Roderick Doyle; World War II Army Enlistment Records, 1938-1946 [Electronic File], Record Group 64; National Archives and Records Administration [retrieved from the Access to Archival Databases at https://aad.archives.gov/aad/, January 2, 2017]. Warwick, Kenton. Email interview with author. April 2017. “California and the Second World War. California Military Museum. Updated February 8, 2016. Accessed February 16, 2017. http://www.militarymuseum.org/HistoryWWII.html. Colimore, Edward. “D-Day: Gliding to Glory.” The Philadelphia Inquirer, June 5, 2015. http://www.philly.com/philly/news/Gliding_to_glory.html. “Frank L. Cotropia.” American Battle Monuments Commission. Accessed October 5, 2017. https://abmc.gov/node/539484#.WdZuu2hSzIU. “Frank Lee Cotropia.” National World War II Glider Pilots Association. Updated 2017. Accessed October 5, 2017. http://www.ww2gp.org/bio-file/bioFile.php?getveteran=5173. Osbourne, Rechard E. “Naval Air Station, Alameda.”California Military Museum. Updated February 8, 2016. Accessed February 16, 2017. http://www.militarymuseum.org/NASAlameda.html. "Roderick Doyle." American Battle Monuments Commission. Accessed October 5, 2017. https://abmc.gov/node/545619#.WIuSFYgrLnA. “Roderick Doyle.” National World War II Glider Pilots Association. Updated 2017. Accessed October 5, 2017. http://www.ww2gp.org/bio-file/bioFile.php?getveteran=5185.